Symphony No. 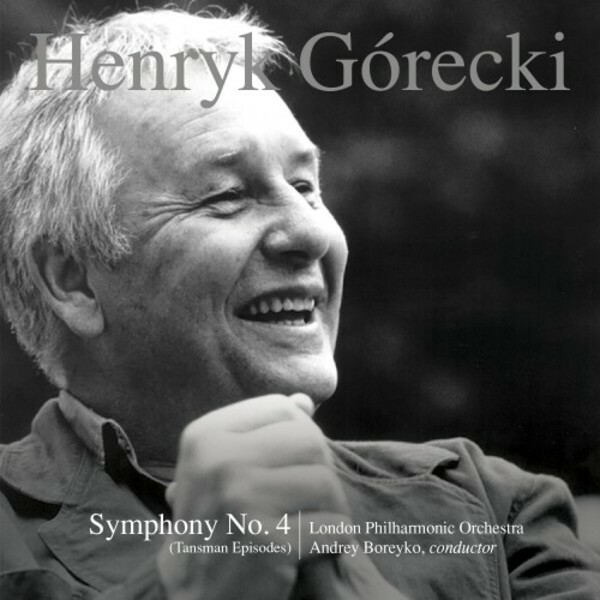 4 will be released individually and as part of a seven-disc box set, A Nonesuch Retrospective, containing all Nonesuch recordings of Górecki works – Lerchenmusik; Symphony No. 3; String Quartets Nos. 1, 2, and 3; Miserere; Kleines Requiem für eine Polka; Harpsichord Concerto; and Good Night. The first vinyl LP of the beloved 1992 Nonesuch recording of Górecki’s Symphony No. 3 also will be released on October 16. The London Philharmonic Orchestra was founded in 1932 by Sir Thomas Beecham. Since then, its principal conductors have included Sir Adrian Boult, Sir Georg Solti, Klaus Tennstedt, and Kurt Masur. In 2007, Vladimir Jurowski became the Orchestra’s principal conductor. The London Philharmonic Orchestra has been performing at Southbank Centre’s Royal Festival Hall since it opened in 1951, becoming resident orchestra in 1992. It also has residencies in Brighton and Eastbourne, and performs regularly around the UK. The Orchestra frequently tours abroad: highlights of the 2014–15 season included appearances across Europe, including Iceland, and tours to the USA (West and East Coasts), Canada, and China. The Orchestra broadcasts regularly on television and radio, and has recorded soundtracks for numerous films including The Lord of the Rings. In 2005 it began releasing live, studio, and archive recordings on its own label. Symphony No. 4 received its US premiere in January of this year, by co-commissioner Los Angeles Philharmonic, and was performed in February by the Netherlands Radio Philharmonic Orchestra at the Concertgebouw (which is home to the piece’s third co-commissioner, the ZaterdagMatinee concert series). This recording was supported by the Adam Mickiewicz Institute as part of the Polska Music programme.